In 1898, Kitchener's Anglo-Egyptian army defeated the armies of dervishes at the battle of Omdurman. To commemorate the event, 11 historians have produced a reappraisal of the reconquest and its international repercussions. They examine some of the policies, personalities and issues involved.
" There is no cause for such a charge against Kitchener. He fully implemented British policy. He did it at minimal risk to the Egyptian and British lives under his command and in a fully professional and methodical manner" Edward Spieres in response to charges. The Victorian Military Society- "This is a substantial work by academic historians, covering not only military but also diplomatic, media and other aspects of the war, and placing it in its wider context…Sudan:The Reconquest Reappraised is not revisionist in the sense of proposing any fundamental reinterpretation. Rather, it significantly amplifies, clarifies and modifies the histography of the reconquest. It will be a standard work for years to come." "It is a formula that works here thanks to Edward Spiers"s brilliant introduction and the overall high quality of the contributions. … It is the balance of details with the comprehensive overview of events which makes this such a fascinating campaign study." 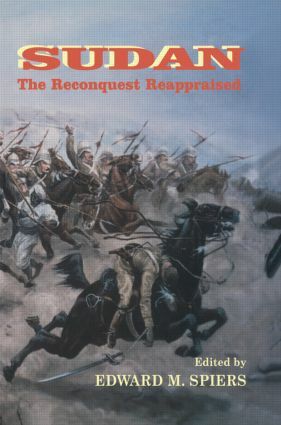 "This is a readable, well-handled account which provides an accessible introduction to the more salient features of the reconquest. … This attractively produced book provides a welcome and valuable starting-point for any study of the Sudan campaign and is to be commended as such." "elegantly written, intelligently argued and make(s) effective use of a wide range of archival research"